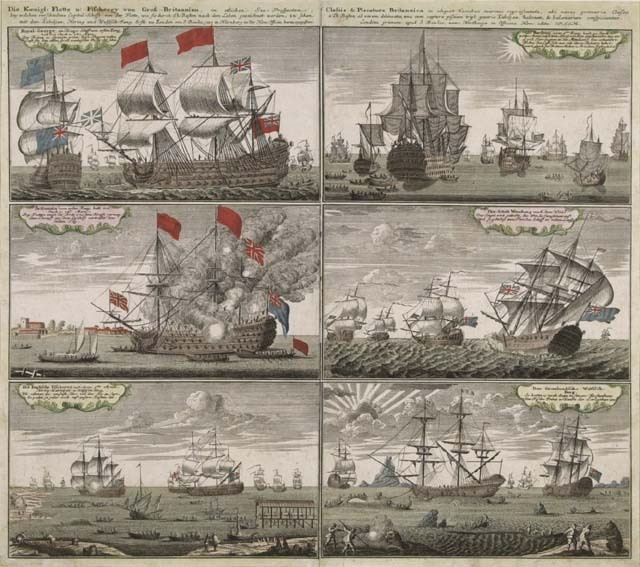 DIE KOENIGL, FLOTTE U: FISCHEREY VON GROSS - BRITANNIEN. . . .
Handcolored copper plate engraving, c.1740. Image size 18 1/8 x 21 3/4" (474 x 554 mm).